L'HÔTEL LUCERNE EST ENTIÈREMENT NON-FUMEUR. Located in New York, in the heart of the Upper West, it is the flagship of the New York hospitality. 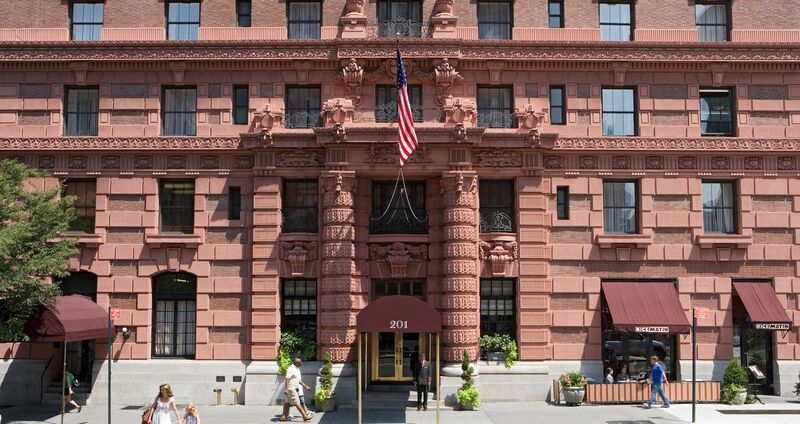 This must and beautifully restored building is among the most elegant hotels comfort of Manhattan. A glance is enough to appreciate the charm and sophistication of this hotel in upscale comfort, renowned for the quality of its service, the comfort of its rooms and affordable prices. It will convince you, whether you are in New York on business or pleasure. The Lucerne Hotel offers 200 luxurious rooms and suites, non-smoking, with an en suite marble bathroom, hairdryer, TV offering cable channels HBO, a home theater, a console and Nintendo games, iron and ironing board, individual air conditioning and wireless internet connection. Nice Matin, which adjoins the hotel Lucerne, is a Mediterranean-style restaurant offering French cuisine with a touch of Italian gastronomy.